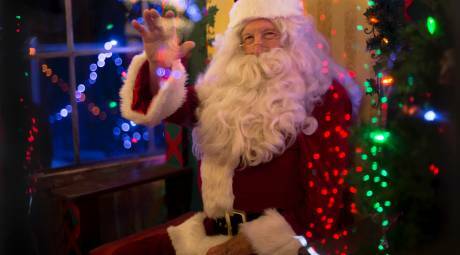 Santa's magic gets a workout this holiday season in Montgomery County, enabling him to be in multiple locations at the same time. The following guide will help families locate Mr. Kringle before he embarks on his worldwide tour on Christmas Eve. 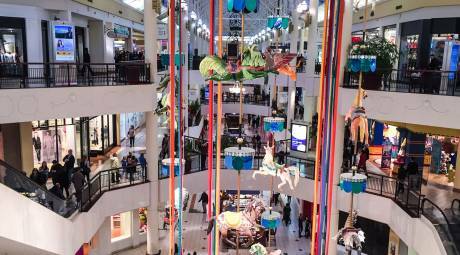 Two settings at King of Prussia Mall provide festive backdrops for a Santa encounter: a carousel with plenty of prancing reindeer (near Bloomingdale&apos;s) and a 45-foot-tall tree with all the trimmings (near Nordstrom&apos;s). 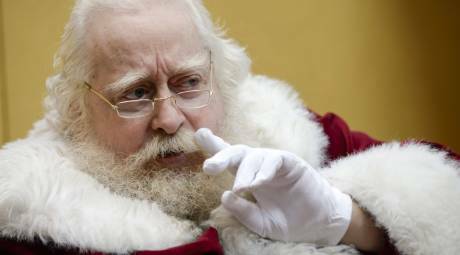 To avoid any lines, reservations can be booked for 10-minute sessions with Mr. Kringle, with the $10 price offsetting the cost of picture packages. Our blogger got some 1:1 time with Santa, here. With an address of 782 Christmas Village Road, it&apos;s no surprise that Koziar&apos;s Christmas Village is Santa-central this time of year. 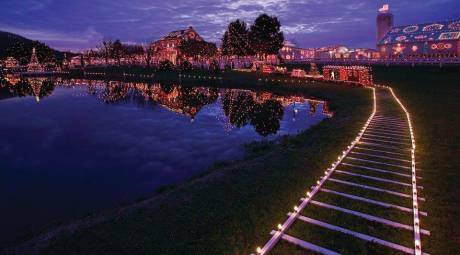 For nearly 70 years, this former farm blazes through the darkness of the bucolic countryside with more than a million lights. The walk-through attraction includes the Big Kauna himself, plus small-scale versions of a bake shop, schoolhouse, barn, mercantile and even Valley Forge encampment, all decorated for the holidays. Read about one family&apos;s Christmas Village experience in our blog. 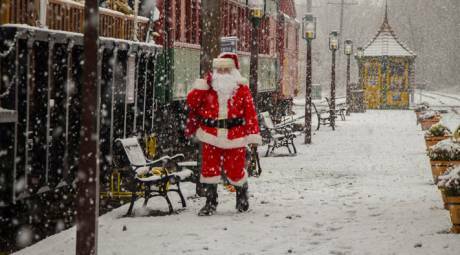 Christmas and trains have been linked in popular culture for decades, making the holiday-themed departures of the Colebrookdale Railroad especially appealing. Hop "all aboard" with You-Know-Who for a merry ride from Boyertown to Pottstown. Trains run Friday, Saturday and Sunday with meal options of dinner and brunch. Kids can line up to see St. Nick at Plymouth Meeting Mall from 10 a.m. to 9 p.m., Mondays to Saturdays and 11 a.m. to 6 p.m. on Sundays. But at 5 p.m. on Christmas Eve, he will vacate his perch and check that naughty-nice list one last time. Fast-pass arrangements can be made, and discounts for the military are offered. New This Year! 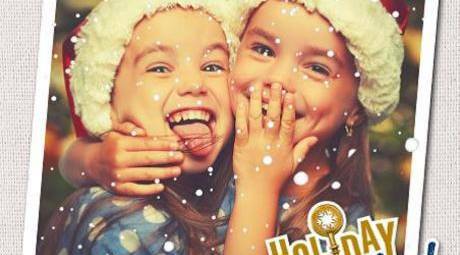 Every child will receive a phone call from Santa, included with their photo package purchase! Willow Grove Park Mall gives kids the chance to meet Mr. Claus under a festive cascade of prancing carousel horses. 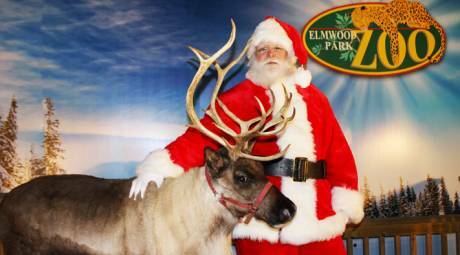 Santa is available from 10 a.m. to 9 p.m on Mondays through Saturdays and 11 a.m. to 6:00 p.m. on Sundays. Have your pet take a picture with Santa on Mondays now through December 17th. Mrs. Claus is there every day from 10 a.m. - 2 p.m and 6 p.m. - 9 p.m.
At Montgomery Mall, the holiday's jolliest elf takes his seat from 10 a.m. to 9 p.m. on Mondays through Saturdays and 11 a.m. to 6 p.m. on Sundays (with occasional breaks for reindeer-feeding). He can be found in the mall's elevator court, but the quickest way to find him is by following the sound of his booming "ho-ho-ho" echoing amid the crowds. 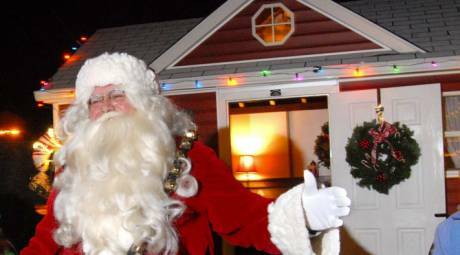 Santa will visit with guests throughout the holiday season at his house on West Main and Madison Street across from Railroad Plaza. December 1 through 22. Thursdays 6:30 pm to 7:30 pm; Fridays 6:30 pm to 8:00 pm; and Saturdays 10:30 am to Noon. Everyone knows Santa travels by reindeer and sleigh. But those boots were made for walkin', too. 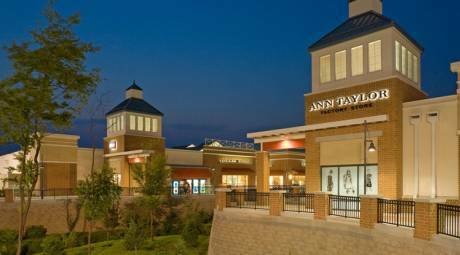 Kris Kringle strolls the open-air sidewalks of the Philadelphia Premium Outlets, where the December breeze gives his cheeks and extra-rosy glow.